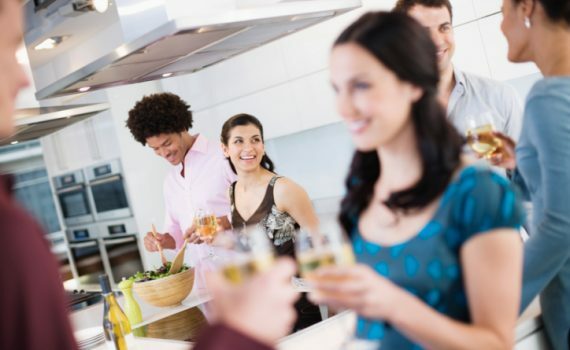 If you do not have your own home, or you’re renting a space, there are many limitations for entertaining your guests. You should ask your landlord before moving in about the rules and regulations regarding the guest that you are entertaining. we are here to help with activities you can do when keeping your guest particularly on a rainy day since the British weather can be so unpredictable. It is a must to keep your visitors happy and comfortable in your own home but with limitations. Internet connection can be a NEED in each and everyone’s lifestyle today. Social media is the way for connecting with your friend, relative and family if you’re far away from them. Wi-Fi also gives satisfaction to your guests since they can play online in their own phones or check their notifications. Who doesn’t love board games? Most of us love a game that can be tricky and consumer our way of thinking. There are many choices of board games like Monopoly, Scrabble, Snakes and Ladders. This would be fun for sure! Music is one way to relax. If your visitors are tired from travelling, you can put on some music for them to take a good rest. You can talk about something and can really depend on the mood of your music. Movies are everyone’s favorite. You can share your favorite movie with your guests while having popcorn or anything you can serve them. What’s better than having a food trip? Call for some pizza delivery or anything you want. Eating while having good and funny conversations are the best!